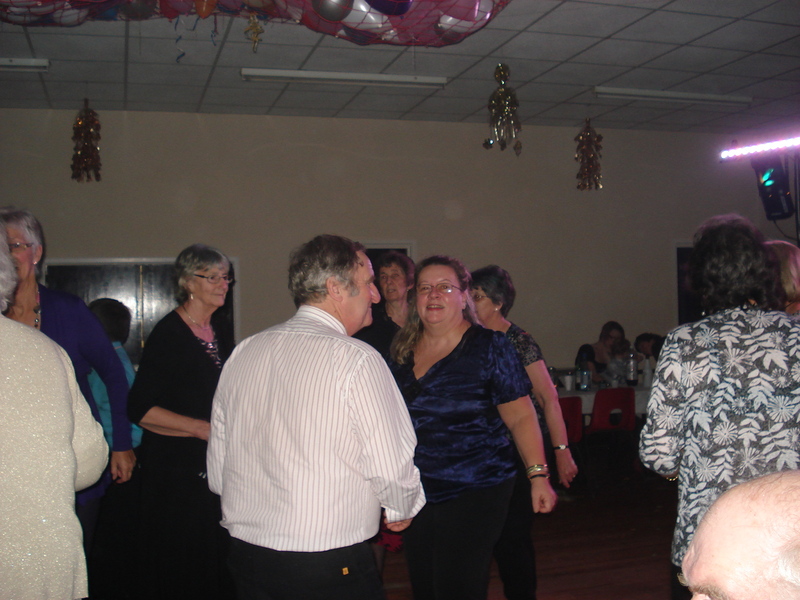 For the past 4 years now we have been to the Buckland St Mary New Year’s Eve party held in the village hall. On Tuesday night there were 98 people attending and our neighbour, who was in charge of catering, laid on a really nice spread of food. 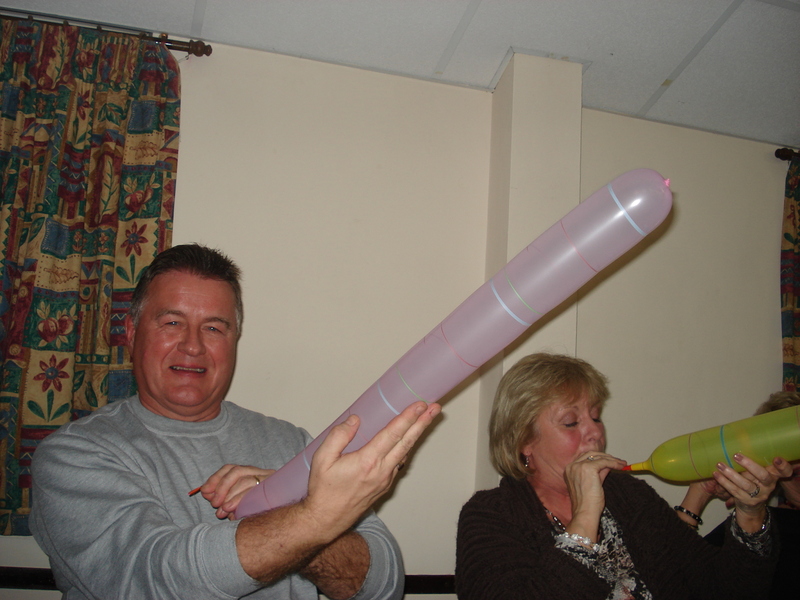 After tucking into that we had silly balloons and party poppers going off and a game of adult pass the parcel!! I even won a small prize in the pass the parcel. There was also a raffle with lovely boxes of chocolates as prizes, but I was quite glad not to win one of those as I would have had to just look at them throughout January as we start our diet!! The long thin balloons were flying off all round the room making a squealing noise as they went. The disco got going and lots of people got up for a bop, with most doing the conga and everyone got up for Auld Lang Syne at midnight. So a good time was had by all, a nice way to see in the new year, surrounded by friends and neighbours. Happy New Year to you all, and may it be peaceful and prosperous. We have vacancies in the B&B for all of January and February. Happy New Year 2013 everyone. 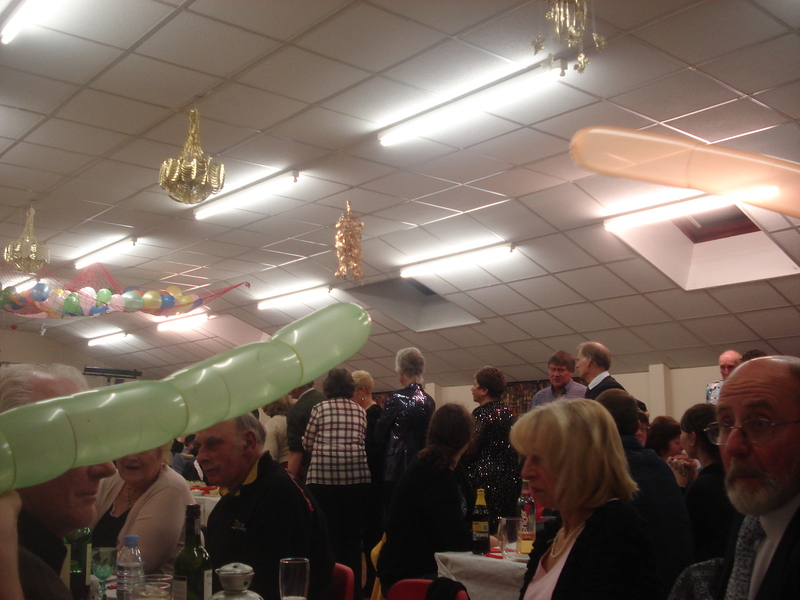 Last night we went to the village hall in Buckland St Mary for the village new year’s eve bash. We had a lovely 3 course meal and then a disco and lots of dancing to oldies. 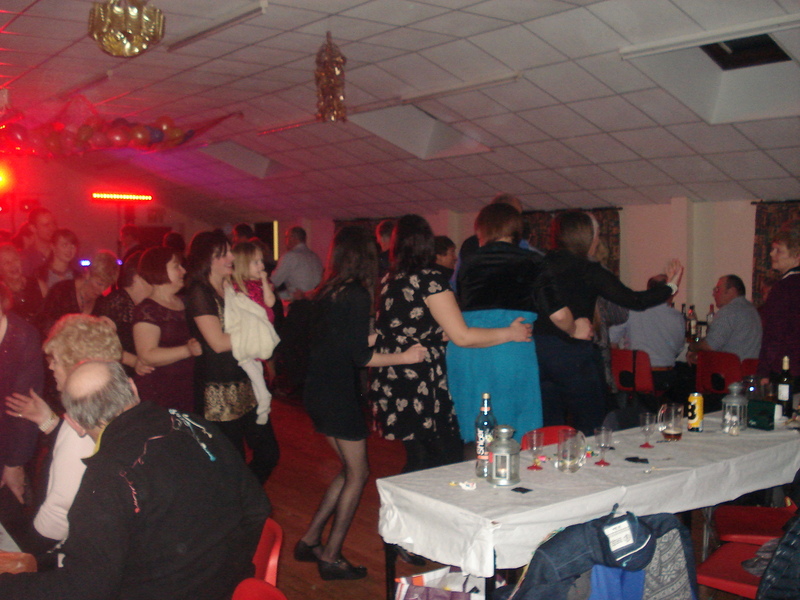 We even did the conga and the hokey cokey. At midnight we heard the chimes of Big Ben, then the balloons came down from the ceiling, and we sang along to Auld Lang Syne. A good time was had by all young and old, a great village community event. Firstly Happy New Year everyone. Hope 2012 brings you everything you wish for yourself. 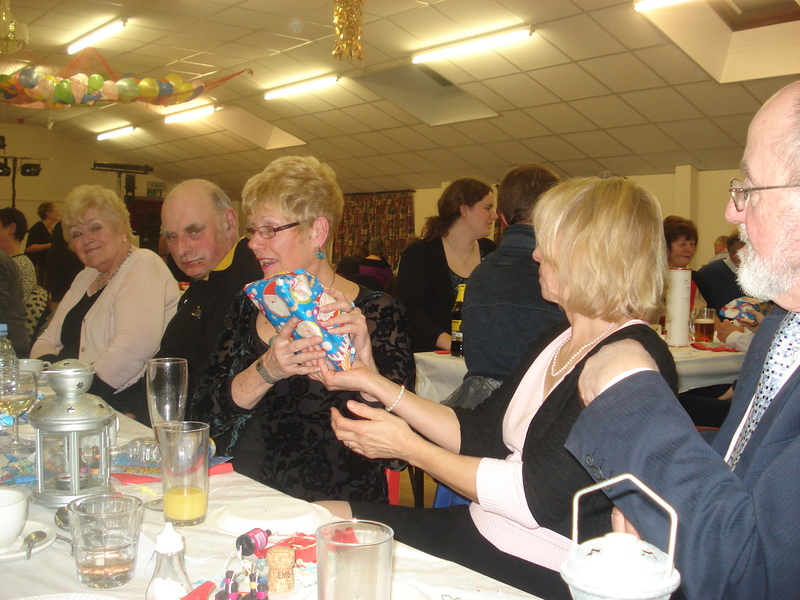 We went to Buckland village hall on New Years’ Eve for a meal and party. There were about 90 of us locals, and we had a DJ to play us the conga and the chimes of Big Ben when it reached midnight. 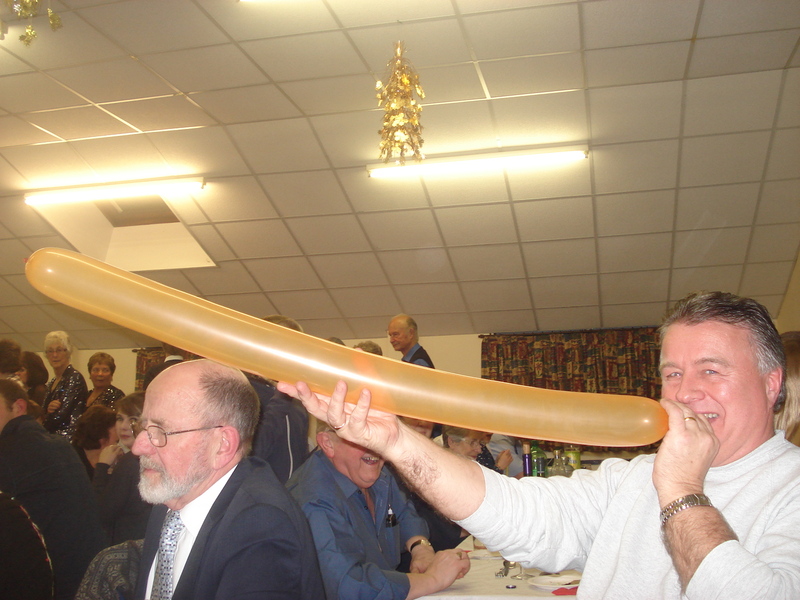 We had balloons and party poppers and those balloons that you blow up and let go and they whirl all round the room!!. Here is Neil with one he blew up. There was dancing, mostly to some oldies, but it’s all very high tech what a DJ does these days, as its all on computer, no discs or CDs anymore. Then at midnight we let off party poppers and a net of balloons came down from the ceiling, then we all sang Auld Lang Syne. So here starts 2012. 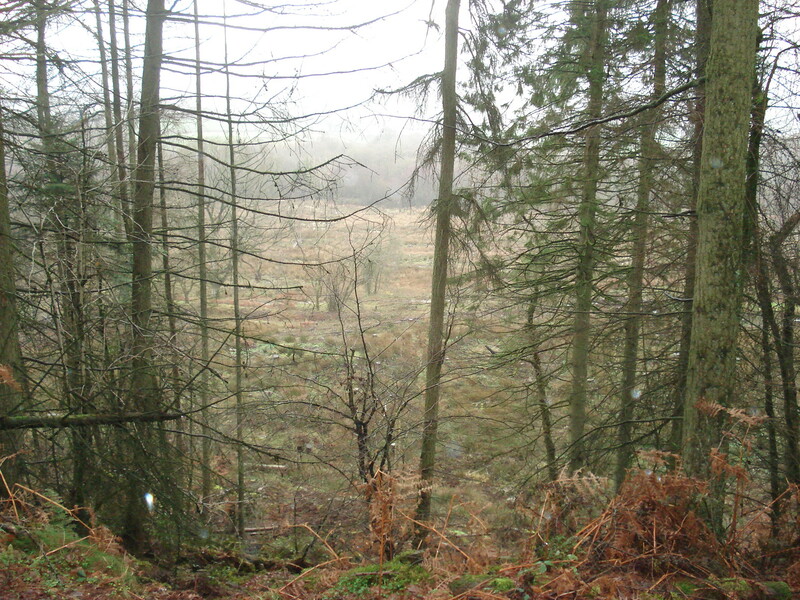 We woke on 1st Jan to an overcast day and decided to go for a walk up Staple Hill again. By the time we got there it had started raining, but we pulled our coats and hats around us and walked anyway. You couldn’t see much of the view for the rain. When we got home we decided to chill for the rest of the day, so we sat down and watched a couple of movies. Very relaxing.